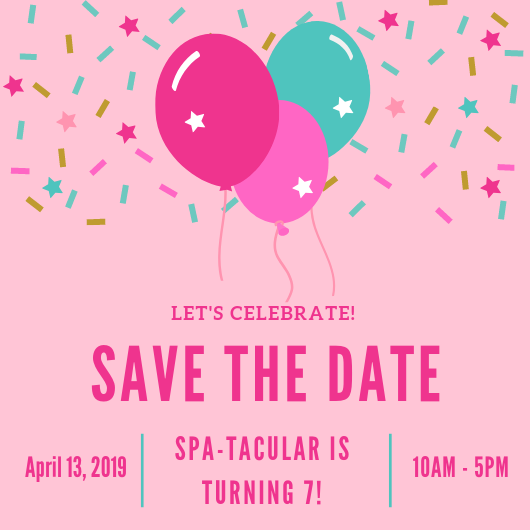 As the saying goes, “Time flies when you’re having fun!” We are celebrating our 7th birthday on April 13th and hope you will come celebrate with us! For $25 per girl, we will have confetti manicures, our signature beauty bar, and create your very own lipgloss! We will also be offering sweet treats & drinks to all of our guests! We are tremendously grateful for all the love and support we have received over the years. We can’t wait to see everyone at our Spa-Tacular Party! Contact us for more information or to book today!